This was an actual quote from a recent meeting with a large retail company. The executives understand the need for sophisticated analytics and machine learning but are still struggling with the basics. Data capture, in particular, is problematic: It’s inconsistent across multiple channels (online vs. in-store), does not have enough history, and is stuck in silos. The company can’t merge information about the same customer from multiple databases. These types of companies need to cover the basics before embarking on advanced analytics. 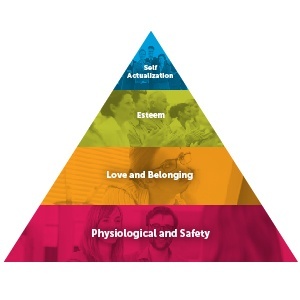 In Maslow’s hierarchy, they need to continue running the business (physiological needs) and ensure they don’t disrupt it (safety). However, what they may not realize is that business sponsors have little patience for long-term data infrastructure projects. They take years to generate appreciable business value. Therefore, the trick here is to identify some quick wins that show value, giving the business time to build foundational processes and infrastructure. Love & Belonging Needs — "We embrace data science and advanced analytics." These customers have good data capture mechanisms in place as well as some pockets of descriptive, rules-based analytics and machine learning. They want more, are excited about the promise of data science, and acknowledge they need help. With a solid foundation in place, one can typically generate some measurable value in mere months. But these companies have their pick of vendors, and providers give them some short-term results and support their long-term transformation journey to get — and remain — hired. Over the past several years, many enterprises have built solid teams in data, analytics, and data science. These teams are actively experimenting and may already have a sizeable Hadoop cluster with multiple production jobs running. They feel confident about their capabilities and seek validation that they’re keeping up with the industry. They may need help in only specialized areas. Such companies have gone through the steep learning curve of data science adoption and can move very quickly. They usually have a clear vision of what they want, so they can skip the whole discovery/ideation process. For example, in one recent situation, the company needed help building an anomaly detection model. The team pre-cleaned and merged raw data and specified exact requirements, so our team could deliver a solution tailored perfectly to their existing environment. Now our team and theirs continue to work together to find solutions to the problems they haven’t tackled yet. Some customers feel they have everything – the best technology, the best talent, the best resources, and the best strategic vision. They are talking to multiple vendors, keeping their eye on the next “hot” thing that will give them an advantage over their competitors. These discerning buyers are not impressed with basic logistic regression models. For these, it’s key to emphasize any secret sauce, be it technology, expertize, talent, or data science competition wins. They’re looking at achieving their full potential and retaining their competitive edge by staying ahead. Overall, each company’s situation is different. However, universally all our customers want to move forward. And in the data science industry in particular, if you are not moving forward, you are quickly falling behind. Therefore, companies must focus on finding new ways to accelerate their ongoing journey of turning data into value. Want to learn more about turning data into value? Download our white paper, "Transforming Data to Intelligence to Value — At Scale." 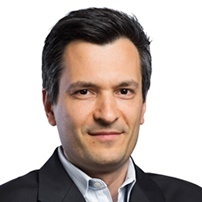 Anatoli Olkhovets is Vice President of Product Management at Opera Solutions.